SHORT BIO: Veteran producer and engineer, Dark Arps is the latest moniker of Canadian electronic artist, Jon Bierman. Originally inspired by the slew of groundbreaking acts that arose from the UK’s DnB and triphop scenes in the 90’s, his tastes evolved to incorporate nu-skool breaks, progressive, and techno. Timeless acts such as Hybrid, Underworld and The Prodigy were influential role models that forged in him an equal commitment to musicality, high production standards and of course, dance-ability. Throughout the 2000’s he spent eight years producing, engineering, touring and performing with one of the UK’s first truly live DnB-breakbeat acts, Keiretsu, rocking dance floors all across Britain, from Edinburgh to Brighton. As well, during this period he continued to produce, remix and collaborate with an endless variety of electronic and traditional acts, giving him a diverse pool of influence from which to draw inspiration. Dynamic, deep and progressive, with contrasting vibes of tension and optimism, his sound is underpinned with dark melodies, hooks and basslines. 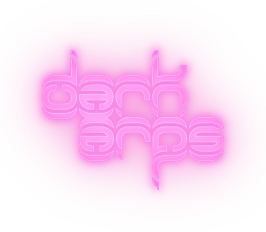 Dark Arps is committed to helping developing producers learn the art of electronic music production. Check his YouTube channel for helpful tutorials and other instructional videos. Click here to download a goodie-bag of the tracks you’ll find dotted around the website. Thanks for listening! 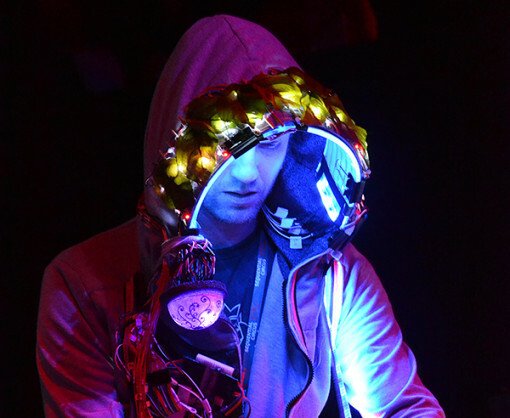 LONG BIO: Dark Arps is the latest moniker of Jon Bierman, a Canadian-raised and British-educated electronic music producer and performer. 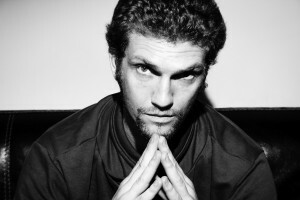 His style combines synths, atmospheres and sound design, with driving basslines and funky, techy beats. The handle is new, but he’s been at it, in one way or another, for the last 16 years. Now this is where you read about the classically trained background. Or how after falling in love with 80’s electro-pop at the age of three, he proceeded to buy every Bowie and Depeche Mode album on vinyl, in duplicate, so he could beat-juggle with them just as soon as he was tall enough to reach the decks. Bierman’s childhood musical education was above average for a kid growing up in Toronto. Recorder (snore), trombone for a year in band class and first albums: MJ “Bad”, GNR “Appetite for Destruction”, INXS “Kick” and George Michael “Faith.” At age eight, he played a street urchin as part of the Canadian Children’s Opera Chorus group in Bizet’s “Carmen” (“sonnez trompetes eclatantes, ta-ra-ta-ta-ta, ta-ta-ta!”). At 10 he had his first drum lesson, where he quickly discovered that playing or making music genuinely excited him. (Mum and Dad were less than enthused. Drum kit REFUSED). Teenage years were spent in a British “public” (as in, not for the public) school where he took bass lessons and discovered Radiohead, DnB and music sequencing. The end of high school was punctuated by two very important albums; DJ Shadow’s “Endtroducing…”, credited by the Guinness Book of World Records as the “First Completely Sampled Album”, and Hybrid’s debut album, “Wide Angle”: futuristic, orchestral, emotive, evolving and enveloped by banging breakbeat, house, techno and bass – constantly danceable, yet genuinely musical. This was to define the precepts of Bierman’s musical motivations. At university, and inspired by the seemingly endless slew of talented musicians around him, Bierman began learning the scientific art of sound engineering and music production. Squandering student loans and charitable donations from parentals, he bought mixers, microphones, synths and samplers. Clumsily searching for the perfect handle, producing under his own name or (hilariously) BigDeck in 1998, he then began his real musical education. Forming and touring all across Britain with the 10-piece breakbeat orchestra Keiretsu (described by Knowledge as “simply jaw-dropping”) one of the UK’s first truly live drumnbass-breakbeat acts. During this time he also recorded numerous band demos, EPs and albums and ran an on-location “instant live” mobile recording and CD manufacturing facility (working with the original members of 80’s prog-rock supergroup “Asia”, Johnny Cash’s band The Tennessee Three and Alabama 3, responsible for the theme song to “The Sopranos”). He continued to improve his programming, sound design and beat-making abilities with electronic releases and remixes on small, indie breakbeat labels such as MOFO and Play, and had a few other side projects under the aliases of Dr Breaks (2000-02), Beamer Grande w/Rich Meehan (2000-08) and Hi-Fi by Design (2005-08). Throughout all this, he kept his musical palate as broad as possible: chamber choirs, folk troupes, hip hop drummers and MCs, orchestral composers, rock and funk covers bands, DJs and producers, it didn’t matter – there was always something to be learned about music from this diverse pool of influences. Now back in Canada for the first time in 19 years and based out of Vancouver, Dark Arps is Bierman’s latest solo project. His tastes have evolved into a mixture of techno, breaks and progressive house, overlaid with synths, sampled instrumental melodies, warped tonal textures and atmospheres, and supported with incessantly infectious beats and basslines. It is music for the head, heart and feet, constantly evolving, progressing, segueing and modulating. Above all, his music is LIVE. Beats, synths, atmospheres and melodies are triggered, mixed and effected on-the-fly using Ableton Live and a selection of MIDI controllers and hardware synths. Dark Arps creates dynamics of audible energy with the colours and shades of his music, punctuated with irresistible techno and breakbeat grooves. Tracks evolve, break down and crescendo organically with ever-present danceability.